The Robotics club was far from rusty after summer vacation. 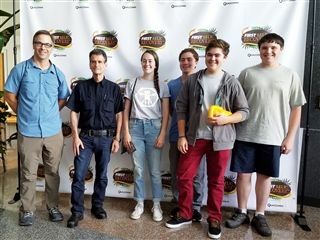 On Saturday, the team attended the FIRST Tech Challenge kickoff event at Qualcomm and was treated to a surprise visit from FIRST founder Dean Kamen. Students worked together to build a robot that could avoid obstacles in a pit and complete tasks, like collecting boxes and setting them on top of each other.